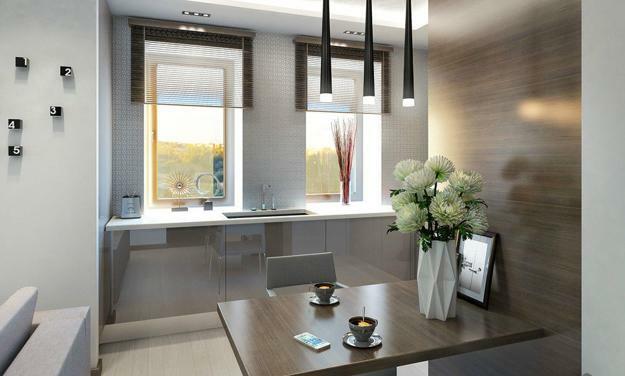 Bright contemporary lighting, gray and brown colors are the perfect combination for decorating a bachelor apartment. 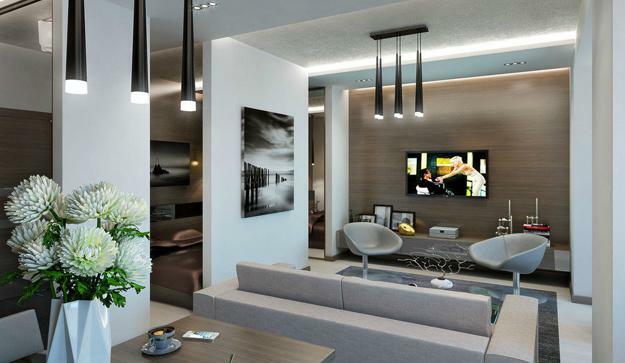 Neutral colors, comfortable furniture, and modern lighting design create a pleasant and elegant atmosphere while infusing a contemporary vibe into the interior design. 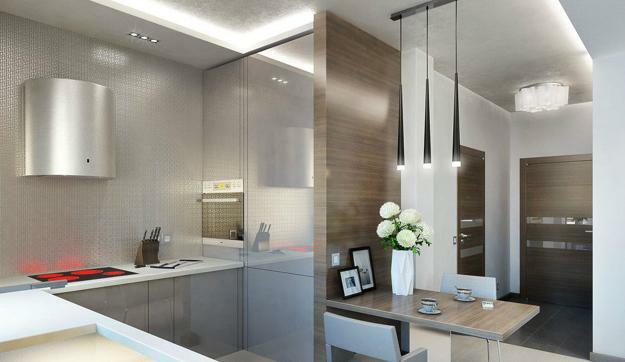 Check out the apartment ideas by Russian designer Andrew Volkov. This studio apartment looks light, functional, and stylish. Steal the look and enjoy clutter-free and comfortable room decorating. 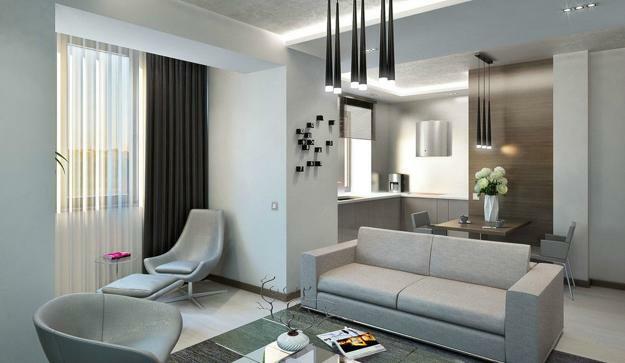 Bright interior design in neutral colors is the perfect solution for a masculine apartment. 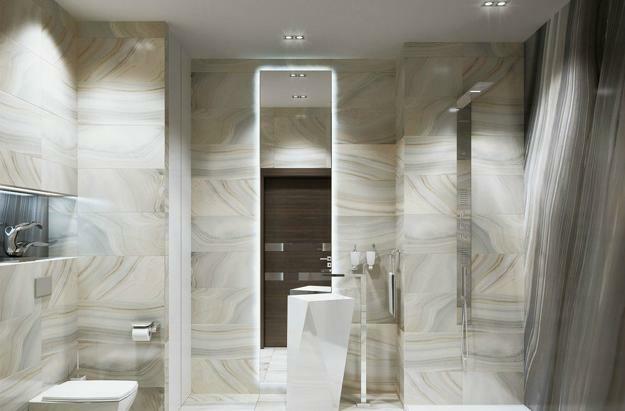 Ideal for a young man, the color scheme of white, gray tones, and brown color shades, make small spaces appear chic. 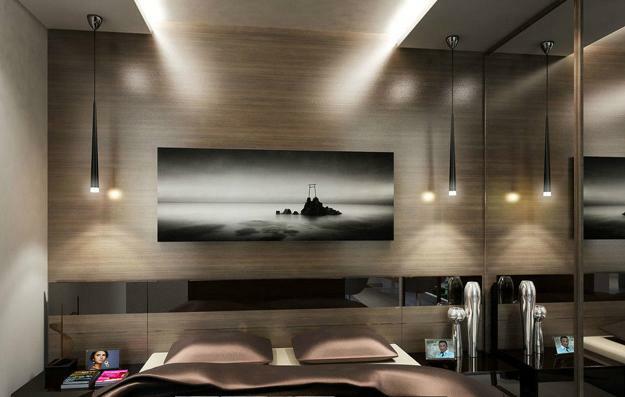 The interior design ideas in an eclectic style and contemporary lighting design turn small rooms into a beautiful home. Retro-modern furniture and modern accents complement the relaxing and comfortable interior design while creating harmony. 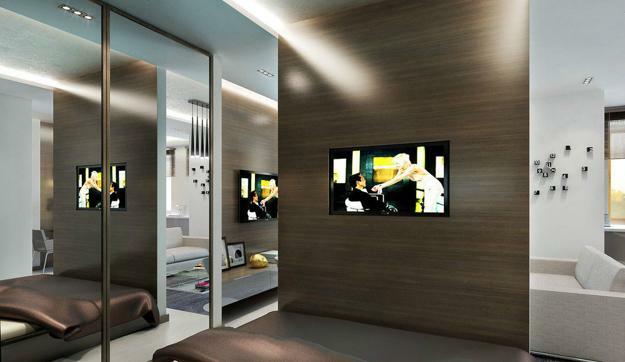 Brown colors are an excellent choice for designing cozy, safe, and warm rooms. Brown color shades and gray tones mix beautifully with white decorating ideas and beige. Black accents bring elegance and enhance the modern interior design.